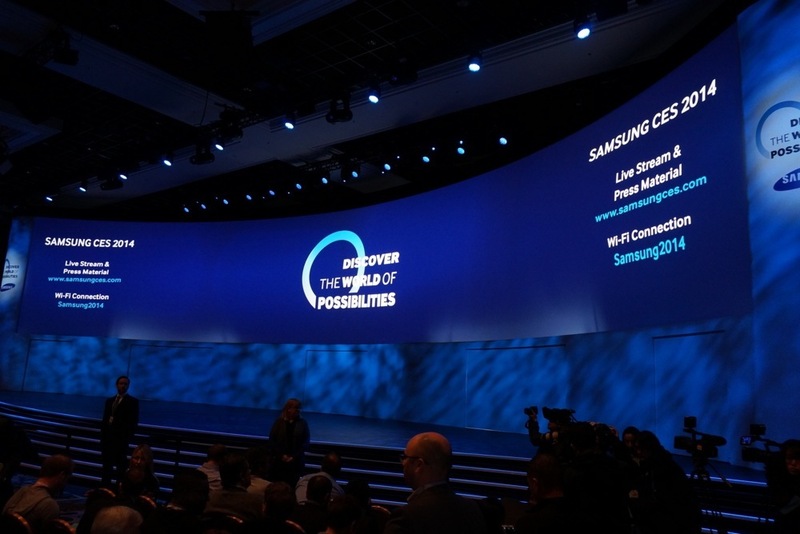 Our CES 2014 press day continues this afternoon with Samsung’s 2PM Pacific event. Samsung likes to show off all sorts of products during their event, which makes sense since they do a heck of a lot more than mobile. In other words, we should see new TVs, lots of them. We’ll also probably talk appliances, maybe even wearables, and then finish up with mobile. We already saw a whole bunch of new Samsung tablets leak thanks to @evleaks, so I’d imagine they will all be on-stage or mentioned at some point in the quick 45-minute show. If not, we’ll see them later this afternoon when we meet with Samsung. Don’t expect flagship-type phones, though, as Samsung holds their own stand-alone press events for products like that. So strap in, this is usually the big one. We started waiting in line an hour and a half before the event and aren’t even close to the front of the line. Samsung runs the tech world around these parts. A live blog is embedded below. Samsung says there is a live stream, so we’ll try to include it. Otherwise, enjoy our commentary and pictures!